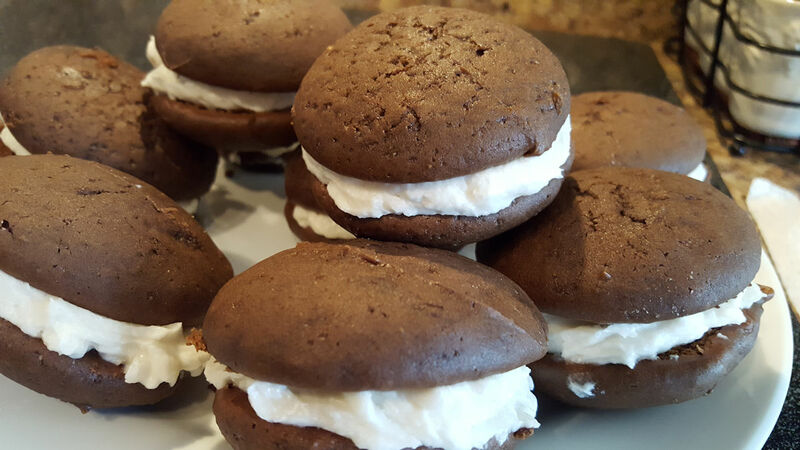 Have you ever had a whoopie pie? Whoopie pies are a quintessential New England dessert and a memorable treat from my childhood. My mom would make them for us every once in a while. Oh, what a treat to come home from school to a platter of chocolate whoopie pies! Yum! 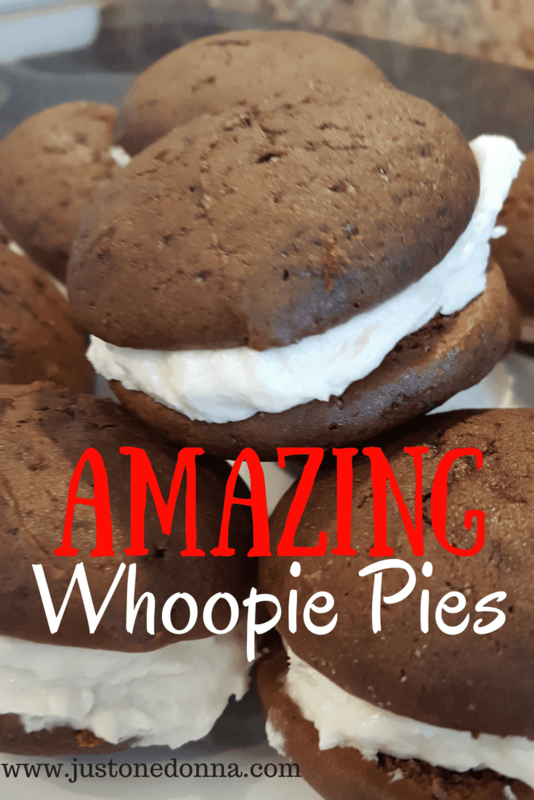 Today I'm sharing my recipe for the best ever whoopie pies. Debate rages about where whoopie pies originated. Some say these goodies originated in New England, others say they originated with the Amish. There is also debate about what ingredients should be in the filling. Many recipes suggest a mixture of sugar, butter and Marshmallow Fluff, but that is not the filling I prefer. 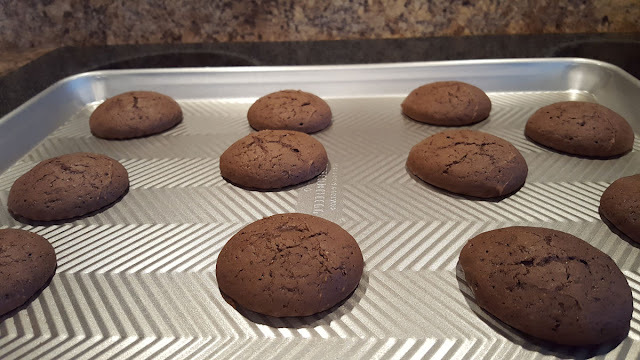 The whoopie pie of my childhood is a traditional Maine whoopie pie recipe, made with a cooked flour and milk mixture added to sugar and shortening for the filling. This is the whoopie pie filling I prefer. Today's post is an update of one of the first posts I wrote for this blog. 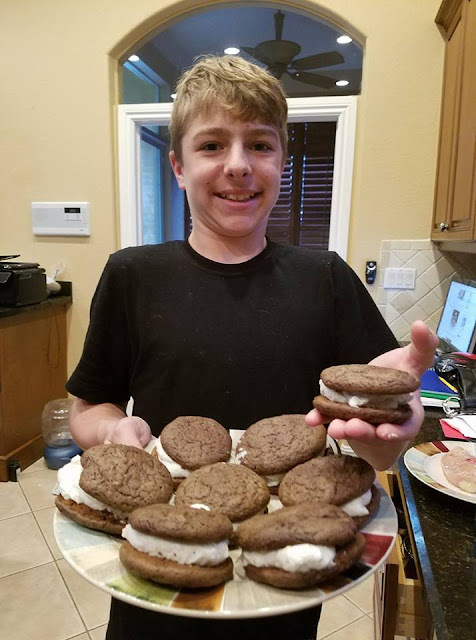 I was inspired to update and share the recipe again by this picture of my nephew, who recently made a huge batch of whoopie pies. These snack cakes are just too good not to be made across America. Whoopie pies are a terrific recipe to make at home with kids. They will have great fun spreading the filling and licking the bowl. Kids love whoopie pies! 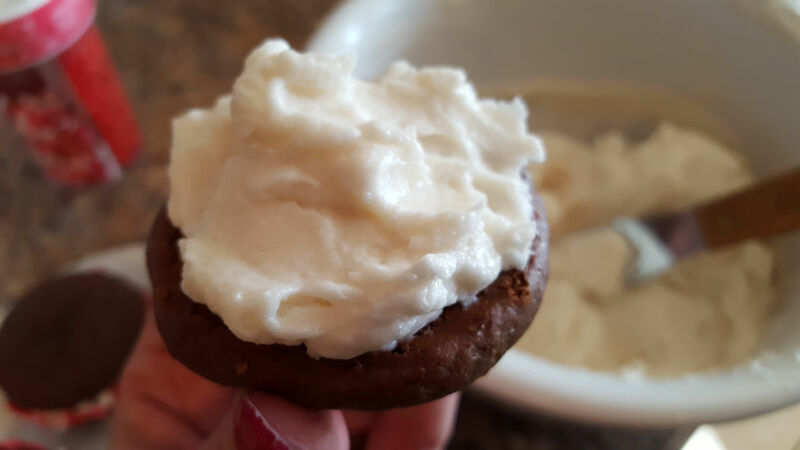 For those of you who have never had a whoopie pie, it is a snack cake made in two parts. First, you'll make small, round cakes that will then be filled with a sweet, creamy filling. One thing I love about my recipe is that the chocolate cakes get softer as time goes by. 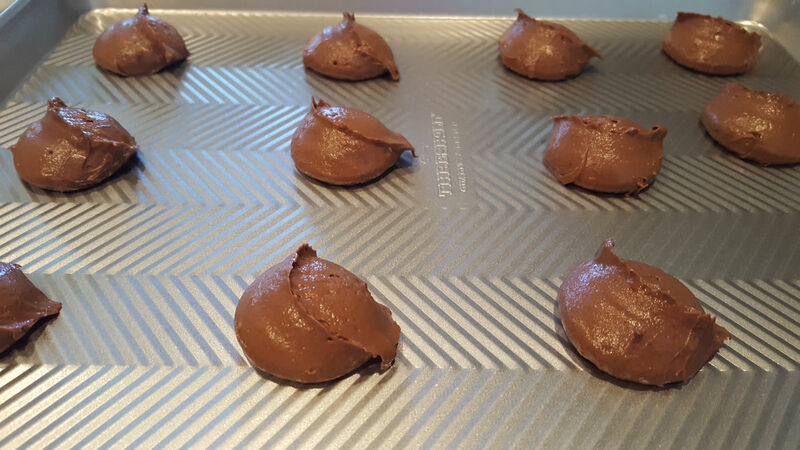 Use a cookie scoop to make consistently sized cakes for your whoopie pies. It makes it easier to match the top with the bottom of the whoopie pies. ﻿Don't overcook the cakes. Watch your first pan like a hawk to determine the right number of minutes to bake them in your oven. You want the cakes to spring back when you touch them lightly. Be sure to cool the milk and flour mixture for the filling completely. I usually chill mine in the refrigerator. Beat the filling until the sugar is completely incorporated. Feel the filling between your fingers. If you feel sugar granules, keep beating. Be generous with your filling. 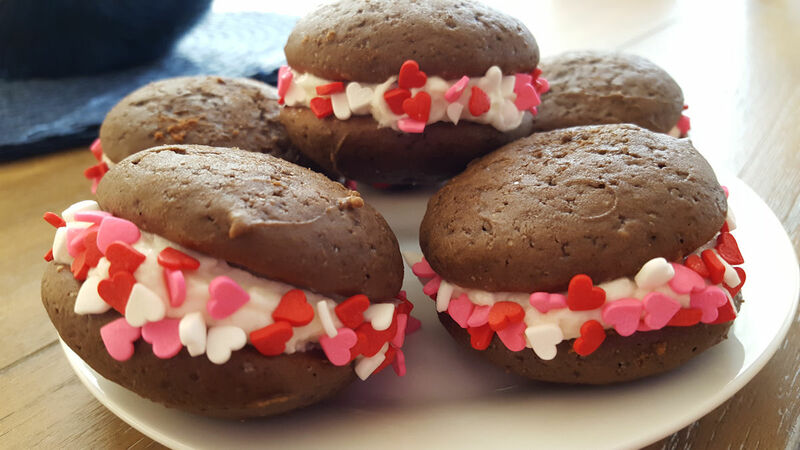 Yummy whoopie pies have plenty of creamy filling. I like to spread the filling on half the cakes, using all of the filling, and then top with the remaining cakes. Preheat your oven to 350 degrees F. Using a mixer, beat the sugar, egg, cocoa powder and shortening together in a medium-sized bowl until well combined. Add 1 cup milk, one teaspoon of vanilla, two cups of flour, one teaspoon of baking soda, and ½ teaspoon of salt. 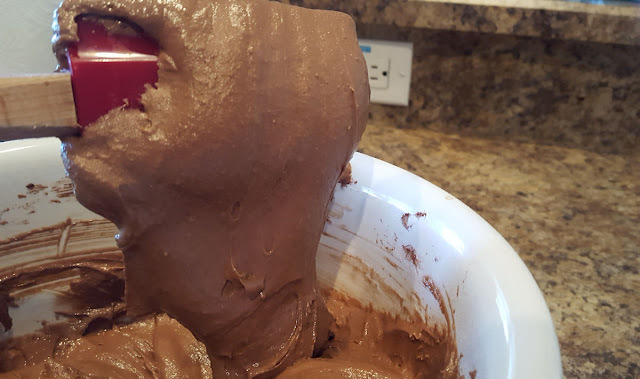 The batter will be thick. Mix well and drop by tablespoon one inch apart on an ungreased sheet pan. Press into circles of equal size. I like to use a cookie scoop to make uniform sized cakes. Bake 6-10 minutes until the cakes spring back when lightly touched. In a saucepan over medium heat, combine the milk and flour and cook, stirring constantly until it forms a thick paste. It's ready when it to comes to a boil. This will help to cook out the flour taste. When you run your finger across the back of the spoon you will see a track. Let the mixture cool. It thickens to a pudding consistency as it cools. In a medium bowl, beat the sugar and shortening until fluffy. Add vanilla. Add the cooled flour mixture and beat until double in volume. You'll want to really beat the filling, approximately five minutes. Feel the filling between your fingers. If you feel the sugar granules you'll need to beat longer. Turn the little cakes over on their backs. Spoon a dollop of filling onto half of the little cakes. Place the other half of the cakes on top of the filling to form sandwiches. You can add some fun decorations to your whoopie pies for holidays. Do you have any candy canes left from Christmas? Crush them finely and mix them in with the whoopie pie filling. Yummy! You could also roll the edges in the crushed candy canes. Little hearts pressed into the edge of the filling is fun for Valentine's Day. I like to wrap each whoopie pie individually for storage. The cakes will stick to each other if you leave them together on a plate. Individually wrapping them makes them easier to keep and eat. They freeze well, too. The debate is over. 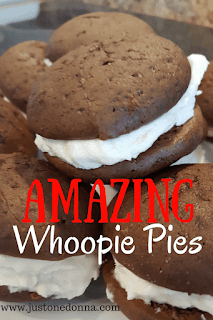 These are the best and ONLY whoopie pies for me! I hope you love them as much as I do!